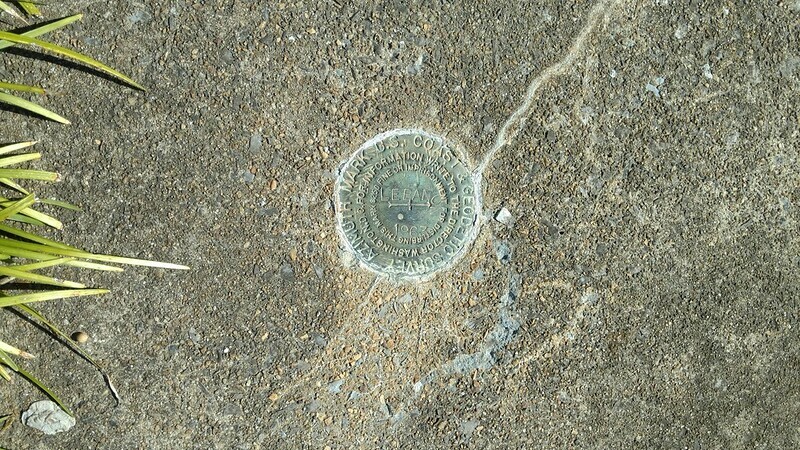 DESCRIBED BY COAST AND GEODETIC SURVEY 1963 LEBANON AZIMUTH MARK IS SET IN THE NORTHWEST CORNER OF THE MONUMENT FOR THE MEN OF RUSSELL COUNTY IN WORLD WAR I AND II AND 46 FEET SOUTH OF THE CENTER LINE OF U.S. HIGHWAY 19. IT IS A STANDARD DISK CEMENTED IN A DRILL HOLE WHICH PROJECTS 3-INCHES AND STAMPED LEBANON 1963. TO REACH LEBANON AZIMUTH MARK FROM THE POST OFFICE IN LEBANON, GO WESTERLY ON U.S. HIGHWAY 19 FOR 0.25 MILE TO THE MARK ON THE LEFT. STATION RECOVERY (1963) RECOVERY NOTE BY COAST AND GEODETIC SURVEY 1963 AT LEBANON. AT LEBANON, 100 YARDS SOUTHWEST OF COURT HOUSE, SET IN THENORTHWEST CORNER OF A MONUMENT FOR THE MEN OF WORLD WAR I AND II, 46 FEET SOUTH OF CENTER LINE OF HIGHWAY AND IS ABOUT LEVEL WITH THE HIGHWAY. 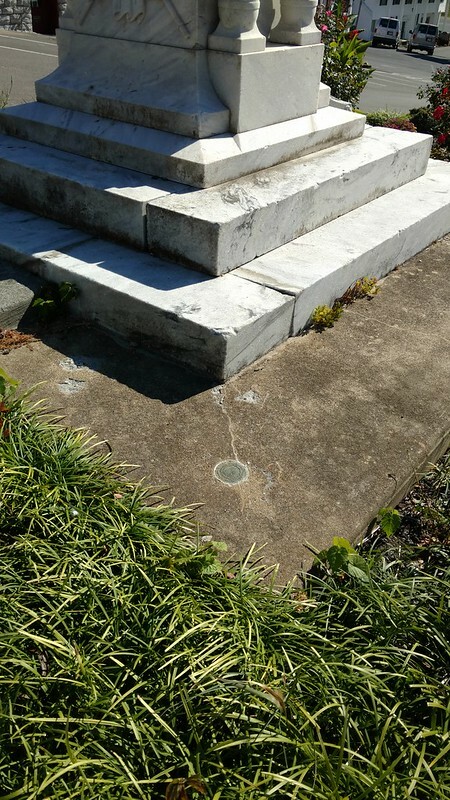 Disk is located on the foundation of the Confederate monument on the corner of Main street and Church avenue. Enter the date and name on block building to statue's right all as one word in upper case as the logging code.